February 2005 marked the opening of The Loft, a live music venue in Midtown. 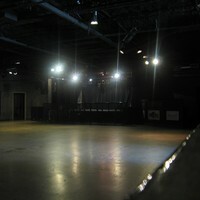 The Loft is located on the second floor of the Center Stage Atlanta music complex and can accommodate 650 people. It is equipped with top-of-the-line sound, four full-service bars and a view of the Midtown skyline. The Loft is a stylish destination for live music performed by national and regional acts every night of the week. Parking: Paid parking lots are available in the neighborhood surrounding the Center Stage Atlanta music complex. MARTA: Take MARTA to the Arts Center Station. Exit the station onto West Peachtree Street, and go one block to the right. The venue is located across the street.